While perilla oil and coconut oil popularity continue, it is" domestic almond oil " to attract attention secretly. There is an enterprise producing domestic oil of almonds in Japan only in Yusui-town of Kagoshima prefecture . 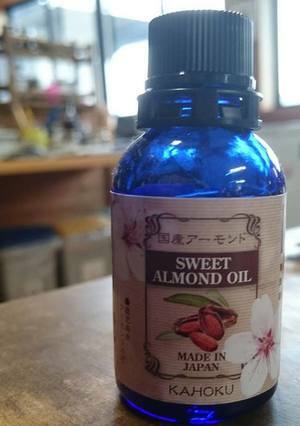 It was 2014 years that the Kahoku oil manufacturing which has worked on cultivation of almonds from 2009 commercialized oil of almonds. 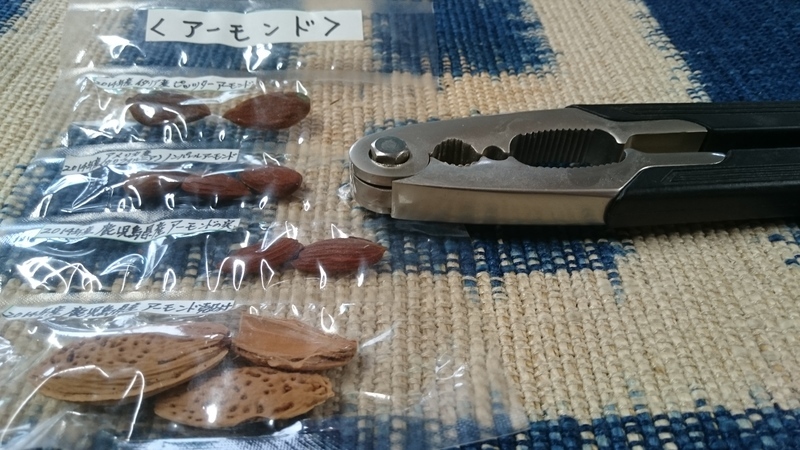 That the almonds which were raised without using agricultural chemicals and chemical fertilizer, follow Makoto, the end of August-September. Oil expression of oil of almonds starts from the shell percentage. It's said that they're dividing each one shell by handwork using exclusive apparatus by Kahoku oil manufacturing. After that oil will be expressed by cold press. Without applying heat, cold press spends time and applies the pressure slowly, and is the squeeze technic which suppresses occurrence of frictional heat to the utmost. It's possible to pick the ingredient the material has primarily out just as it is. Topical beauty and a healthy ingredient are included by almonds in an oleic acid and a linoleic acid richly including strong vitamin E of antioxidation power. The oil of almonds for which an ingredient was left wholly variously by oil expression by cold press is also outstanding in the osmolarity. It's also excellent in the EMORIENTO effect. The EMORIENTO effect is the effect which makes the skin flexible and shuts water and nutrition in skin. The effect to the whitening and the psoriasis in addition to the work which suppresses an inflammation of skin and the itch is reported so far by an overseas document. 240 are 1 week at a beauty speciality store in Kanto, and it's said that the domestic oil of almonds of attention was sold-out popularity. Industry-university-government are advancing Sato making of almonds in a body at present at the town which produced Japan's first domestic product oil of almonds. There is a plan which makes the flower of almonds a symbol in the town. Almonds of prunus. I make a flower similar to Cherryblossom bloom in spring. It's the feature that it's longer than Cherryblossom during a flowering period. It's very popular as tourist attraction around Kirishima in this spring by Yusui-cho "Forest of Kirishima Art" I plan to plant 2000 plants of almonds in the route which continues. Even nationwide is one of matches of watched local creation. I'll aim at 5000 highways of almonds in the future. Regional development with the almonds which can enjoy a flower and also use it as nuts and oil. The day when a new landmark of Yusui-cho and a specialty are learned about widely should be near.